European integration confuses citizens and scholars alike. It appears to transfer power away from national capitals towards Brussels yet a close study of the EU reveals the absence of any real leap towards supranationalism. The EU is dominated by cooperation between national representatives and national officials yet it continually appears to us as something external and separate from national political life. This book takes on these paradoxes by arguing that European integration should no longer be studied as the transcendence of states or as merely an expression of national interests. Rather, we should approach it as a process of state transformation. This transformation is from nation-state to member state. 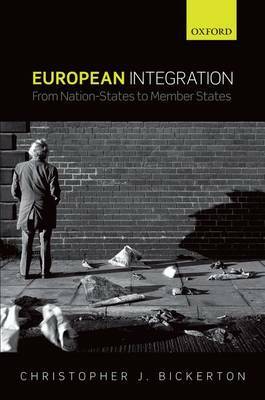 The book explores in detail the concept of member state, arguing that it provides us with the best tool for understanding the European integration process. Member states differ from traditional nation-states. They are not founded on the idea of popular sovereignty or the nation. They rest upon the idea that the governance of domestic societies requires external frameworks of rule that can bind the hands of national politicians. National authority is thus exercised through external rules and norms. Member statehood differs from earlier forms of statehood because it rests upon a presumption of conflict between state and society rather than an identity of interests between ruler and ruled. The book outlines in empirical detail these mysteries and paradoxes of European integration. It then outlines in detail the theory and history of member statehood. It applies the concept of member state to the study of two EU policy areas: macro-economic governance and foreign and security policy.